Following their 1987 screenplay, writers Edward Neumeier and Michael Miner live a fourth time since their trilogy ended in 1993. The reimagined Alex Murphy – a nearly dead man who’s left with no choice but to bind his remaining organic flesh to Gary Oldman’s newly invented exoskeletal machine – got a head start on the weekend by opening on Wednesday in competition to two other 1980s remakes: “About Last Night” and “Endless Love”. 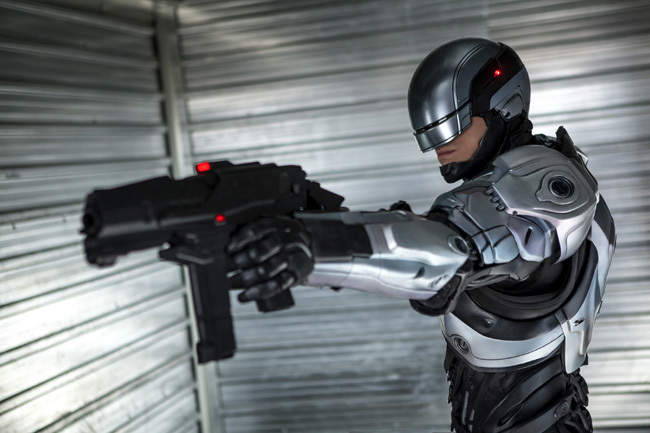 2014’s “RoboCop,” which unsurprisingly has already opened to a disappointing Wednesday box office, is the second time Sony/Columbia has tried to cash in on a Paul Verhoeven sci-fi remake. The studio tried it just two years ago with “Total Recall” and it bombed domestically. For only half the budget, 1990’s “Total Recall” earned more than twice as much as 2012’s in the U.S. The new “RoboCop” has a production budget nearly eight times as much as it did in 1987 – and you can tell by the VFX today – but it’s missing most of the heart. I geek out on technology, but I hate tech for tech’s sake. 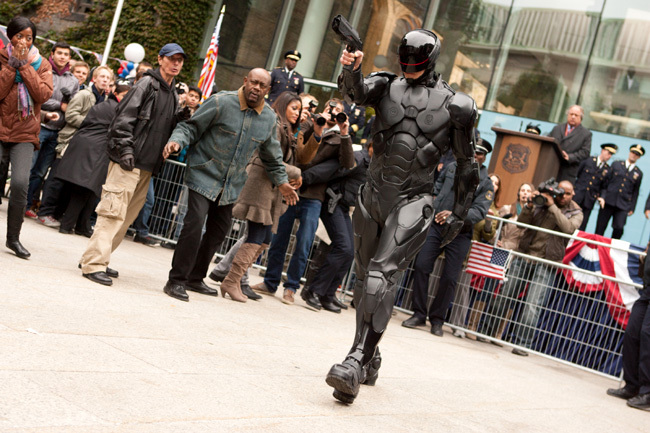 At its very core, the “RoboCop” films offer us compelling moral questions. This “RoboCop,” though, feels like Hollywood’s attempt to up the ante and use its latest special-effects technology to cash in on a beloved story. 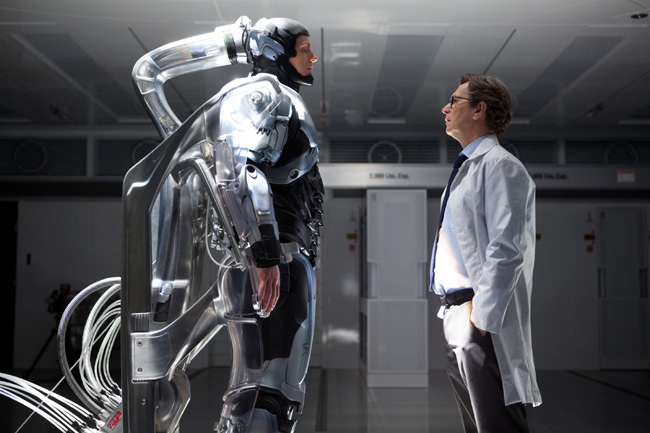 Joel Kinnaman (left) and Gary Oldman in “RoboCop”. It ultimately fails to strap you into a joy ride while battling your brain – something Darren Aronofsky (who was attached to direct at one point) would have done better than Brazilian director José Padilha (who has now directed his debut Hollywood film). “RoboCop” needed more of Aronofsky’s “Pi” from 1998 and less of its Michael Bay-esque addiction to blowing stuff up. When humans are crippled or about to die, should we save them with robotics if we have sound enough technology? Would society trust a hardware- and software-operated police force, should we keep things entirely human or should we merge the two by putting a man in a machine? If the human/machine amalgamation is less “efficient” than purely a bot, is that a satisfactory balance because it still has the ability to think and feel? While Joel Kinnaman as Alex Murphy/RoboCop is supposed to be at the film’s center, five supporting characters instead emerge as its most interesting stars. They are Gary Oldman as Dr. Dennett Norton (the RoboCop inventor), Samuel L. Jackson as Pat Novak (a boisterous TV talk show host), Abbie Cornish as Clara Murphy (RoboCop’s emotional wife), Jackie Earle Haley as Rick Mattox (the weapons expert and pro-robot, anti-RoboCop tough guy) and Michael Keaton as Raymond Sellars (OmniCorp’s money-hungry CEO). Jay Baruchel also has his enjoyable moments, but even he’s repressed from his comedic and quirky potential. 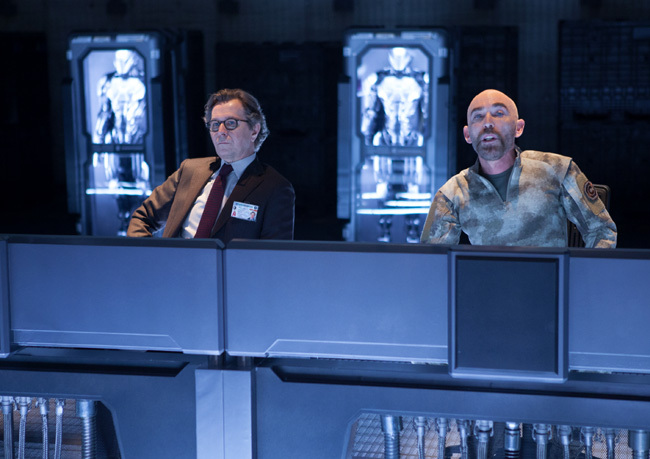 Gary Oldman (left) and Jackie Earle Haley in “RoboCop”. I only mention Michael Keaton in this embarrassingly poorly acted role because his character and mantra of “we’ve got the future under control” could and should have been quite interesting. After all, the controversial nature of what he represents is fascinating to techies and even Luddites alike. But Batman, where art thou? All that’s swanky about him is the inherent nature of his seedy character rather than the forced and fake performance he instead makes us suffer through. The biggest problem with Joel Kinnaman – who you won’t know unless you watch TV’s “The Killing” – is how serious and zombified he’s directed to be. Where’s the fun? Where is any humor? We see an inkling of emotion for his wife and son, but for the most part, his dopamine levels are intentionally turned down so low by OmniCorp that he’s a walking zombie. He thinks he’s a precision fighter, but even that’s not true and it’s the software running what’s left over in this car-bombed man. Now Jackie Earle Haley as Rick Mattox has the right idea. He’s a kooky loose cannon and you enjoy his obsession with his weapons and robots. You even get the feeling that every battlefield for him is an opportunity to revisit his childhood on the playground. And Samuel L. Jackson as Pat Novak has fun with his role, too. He’s over the top, clearly has an agenda, enjoys his ridiculous hair style and wows you with the “PG-13”-rated film’s one bleeped “F” bomb. But Gary Oldman – as he so often is – is the true star of the show. You actually feel his internal struggle between man, machine, science and greedy capitalism. He’s more a scientist than a corporate man, but he crosses over to the semi-dark side when he agrees – at the pressure of his boss – to suppress RoboCop’s emotion (like Lt. Commander Data in “Star Trek: The Next Generation” always wanted). Doing so makes him a better machine, but leaves him devoid of anything that was human. And doing so begs the question of this not-so-distant future – only 14 years from now in 2028 Detroit – that could actually come to be: Why is there never another guy or girl who steps foot in a metal suit? This is inevitable in “Iron Man” – for good guys and malevolent ones – and you have a hard time buying into this future when Alex Murphy’s the only RoboCop. While entertaining at moments and lacking a more enjoyable RoboCop, the most grievous omission is a true villain. You get the feeling that RoboCop has nothing to do. I suppose he’s fighting for himself and somewhat agrees with his wife’s futile demands to spend family time together. But he’s thinly plotted and has little to fight against. A few drones are conveniently placed at the corporation where he was birthed so he must navigate their minefield, but if Michael Keaton is supposed to be our prime evil, you’re perhaps just annoyed by him rather than even remotely scared. “RoboCop” stars Joel Kinnaman, Gary Oldman, Samuel L. Jackson, Michael Keaton, Abbie Cornish, Jackie Earle Haley, Jay Baruchel, Jennifer Ehle, Michael K. Williams, Aimee Garcia and Marianne Jean-Baptiste from director José Padilha and writer Joshua Zetumer based on the 1987 screenplay from Edward Neumeier and Michael Miner. The film, which has a running time of 108 minutes and opened on Feb. 12, 2014, is rated “PG-13” for intense sequences of action including frenetic gun violence throughout, brief strong language, sensuality and some drug material.